Published on November 1, 2011 November 21, 2011 by cara.b.b. 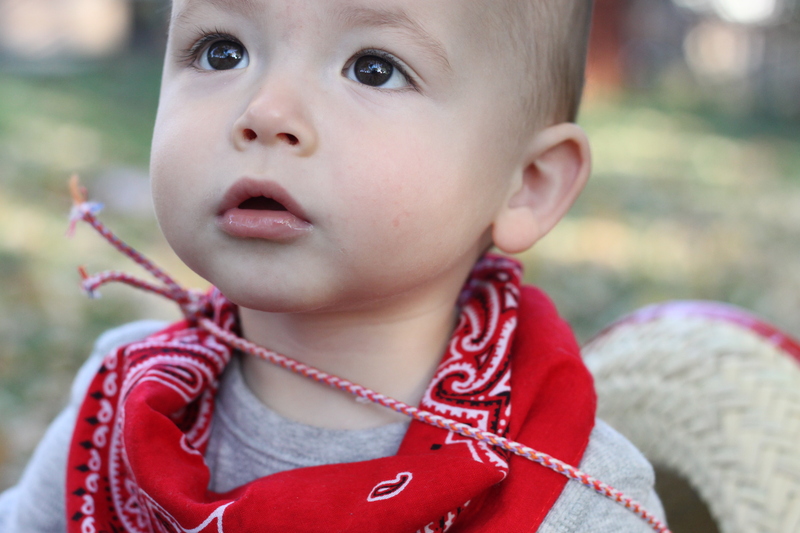 well, the short guy begged to be a cowboy this year…or, we had a bunch of left over bandanas from his birthday and a new souvenir cowboy hat brought from the wall drug store. i can’t remember which. 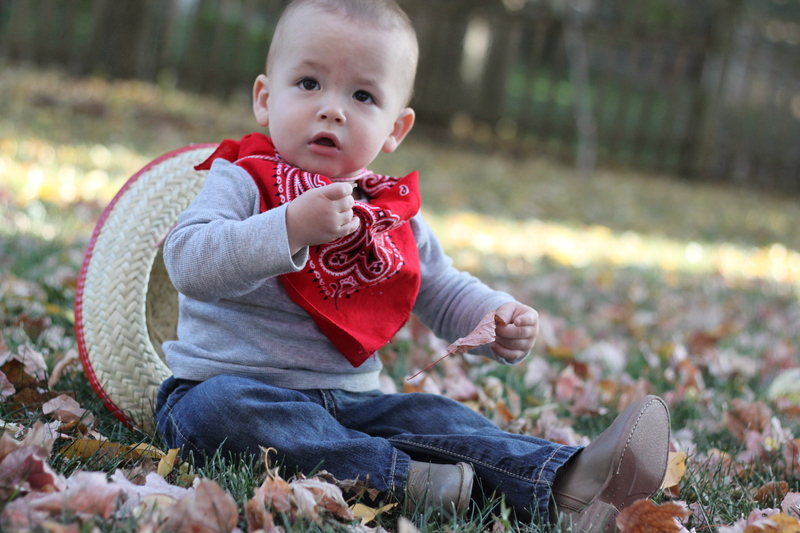 either way, he made a pretty cute little cowboy last night, even if he wasn’t in the smiling mood for the pictures. in fact, recently, he’s adopted the ‘stunned’ look for the camera – not ideal, but i’ll take what i can get. 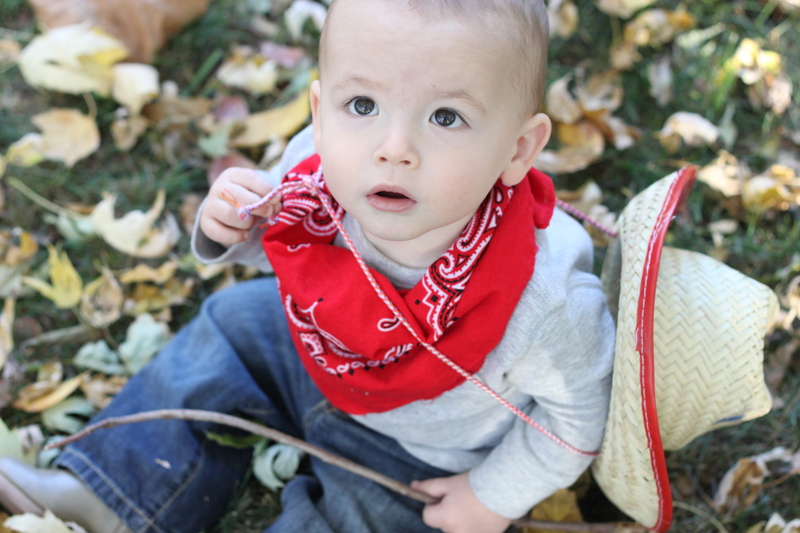 we borrowed some cowboy boots from a friend – thanks anna and remy! 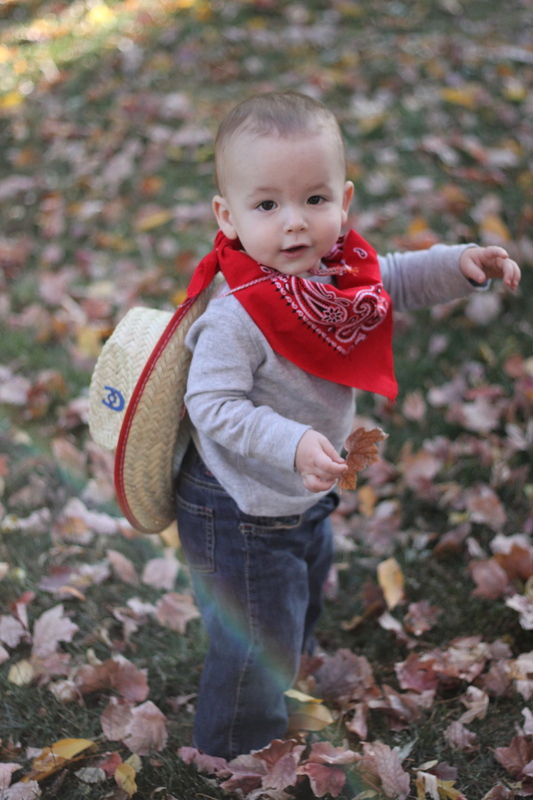 they totally made the outfit, and had him walking like a real cowboy, which had us laughing so hard. when the actual trick-or-treating started, he was so intrigued and watched each time as we went to the door. otherwise, it was business as usual playing with his plethora of toys. Next who needs a kitchen island!?! Precious! Yee-haw from Dallas, you cowboy, you! I take it the hat was just a tad too big. Still cute as can be. i think it might have fit, but he would not keep it on for anything! I love that’s there’s a little rainbow through the first pic! Too cute.